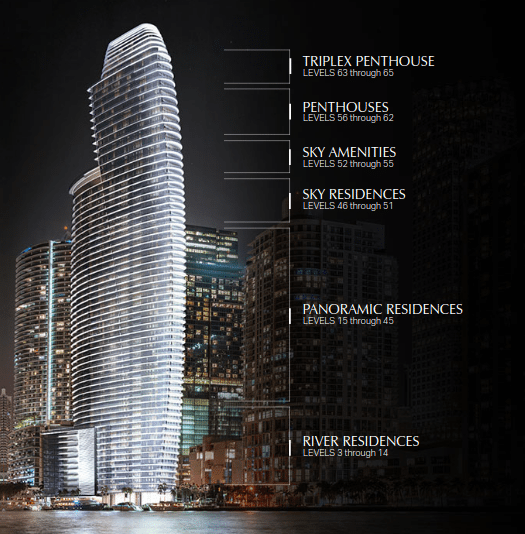 Aston Martin, a British luxury automobile brand that is synonymous with the James Bond franchise, has firmly planted its stake in Miami’s luxury real estate market with the building of the Aston Martin Residences on Biscayne Bay. The Aston Martin Residences will be 66 stories and house 391 condominiums that range from 698-square-foot studio apartments on the bottom floors to an 18,811-square-foot penthouse that will encompass the top three levels, known as the triplex penthouse. 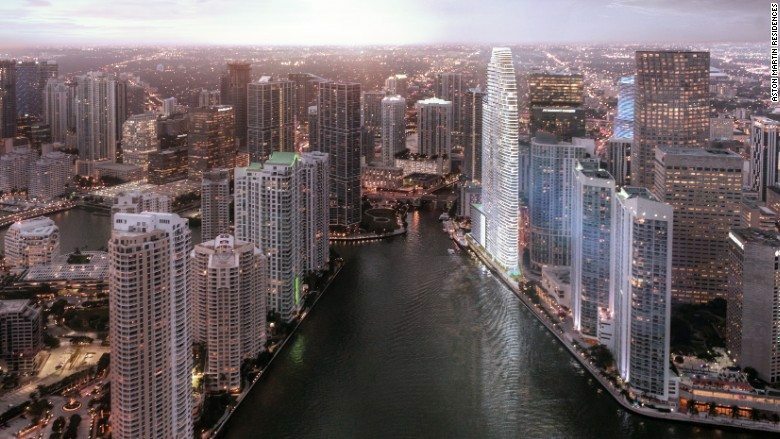 Half of the condos will have unique floorplans, and the common areas, which include an infinity pool, sky bar and lounge and grand salon, will be designed by Aston Martin. In addition to access to world-class fitness facilities, spas and private chefs, buyers will have a full-service concierge, superyacht marina services, 24-hour valet, charging stations for electric cars and bicycles and private storage spaces. All of these amenities and bespoke floor plans come at a hefty price — buyers will have to shell out anywhere between $600,000 and $50 million for a piece of the Aston Martin Residences. G&G CEO German Coto told CNN Money that they expect to pull in $1 billion dollars in sales before the building opens in 2021. This isn’t the only luxury automaker to enter into Miami’s luxury condominium market. 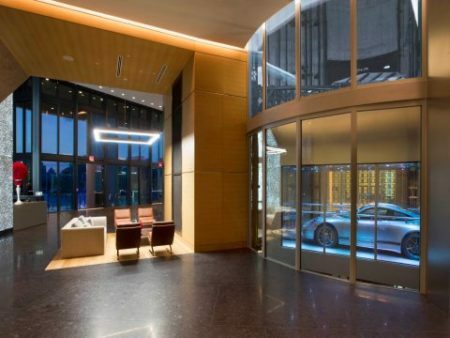 In March, the 60-story Porsche Tower located on Sunny Isles Beach, just north of the Aston Martin Residence’s Biscayne Bay location, opened for business. Porsche partnered with Dezer Development to construct the tower, and the Miami-based developer patented the “dezervator,” a drive-in car elevator, especially for the building. In addition to a drive-in car elevator, owners have access to a spa, ballroom, movie theater, private pools and sky garages that can hold four cars. The largest condominium in Porsche Tower is a 17,000-square-foot penthouse that sold for $32.5 million.